Comment: 13 single hung vinyl double pane units including one larger side slider. Comment: I live in Meadowcrest in Crystal River. New windows would need to match the brown color of the trim. I want to replace windows in the dining room, laini, bedroom and possibly in bathroom and other bedroom on front of house. The outside if the house is stucco and would need to be repaired, replaced around each window. Comment: Replace 30 year old windows. Comment: Replacing 4 sections of "Florida glass" screen. Comment: I am looking for suggestions about my windows in regards to dealing with my house. What are the best options? 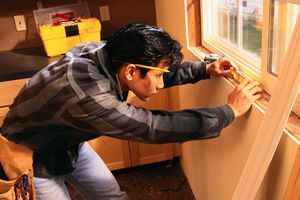 Crystal River Window Replacement Companies are rated 4.61 out of 5 based on 147 reviews of 5 pros. Not Looking for Windows Contractors in Crystal River, FL?